OMNET++ is a highly modular object oriented language to simulate network based developments. We offer M.E project in OMNET++ covers network simulation such as vanet (vehicular Adhoc network), SDN (software defined network), Open flow architecture and wireless sensor network. We implement these models to develop final year projects for M.E students. We evaluate various routing algorithm and performance under OMNET++ simulation. We developed more than 95+ projects in mobile Adhoc network which is a self configuring network composed of mobile routers connected by wireless links. We form random topology by wireless link and mobility nodes. The topology changes in wireless network are happened unpredictably or randomly. We apply Manet for military conflicts, emergency medical application and natural and human induced clusters. We use Manet with broadcasting and shared transmission media which introduce probability of packet collision and media contention we can’t identify collision detection in half duplex radio. To eliminate & identify network collision, CSMA/CO based MAC protocols are used. It can set up at any place & time. Developed under less telecommunication infrastructure. MANET construction takes only less time. Autonomous terminal and dynamic network topology. We implement virtual mesh and simulation framework for wireless mesh network simulation from science direct papers. Our main aids behind virtual mesh are intercepted and redirect real traffic at nodes to simulation. We handle network access and physical medium behavior by virtual mesh simulation. We provide efficient way to simulate mesh network & framework around MAC layer. We ensure uMIC mesh as hybrid wireless mesh network test bed. We create real wireless mesh nodes & virtual nodes by XEN virtualization. We interconnect test bed virtual node by Linux kernel. It composed of information control among nodes. We combine XEN & virtualized node in OMNET++ to get optimized output. We connect various group of device in network to create information exchange. We simulate all types of networks such as wired & wireless in OMNET++ simulation. We analyze communication based protocol such as user datagram protocol (uDp), and transmission control protocol by OMNET++ simulation environment. 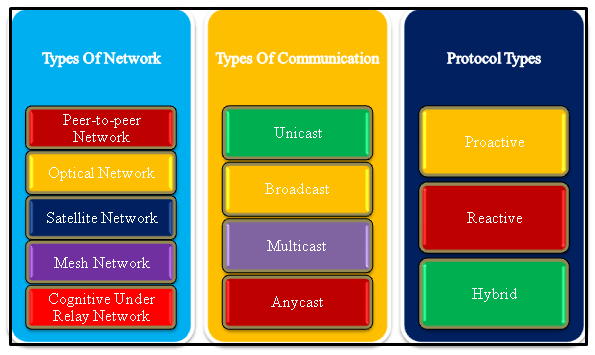 We use Mac protocol with TCP & uDp to evaluate media based application in network such as wireless local area network, Wireless Adhoc network and wireless body area network. We use user interface in OMNET++ to create internal model visible to user. We implement user interface to develop and debug phase of OMNET++ simulation. We use graphical user interface to demonstrate model operation. We execute various model and interface by OMNET++ simulation. We determine powerful graphical user interface to test and debug simulation. For batch execution we provide OMNET+ + with fast user interface.